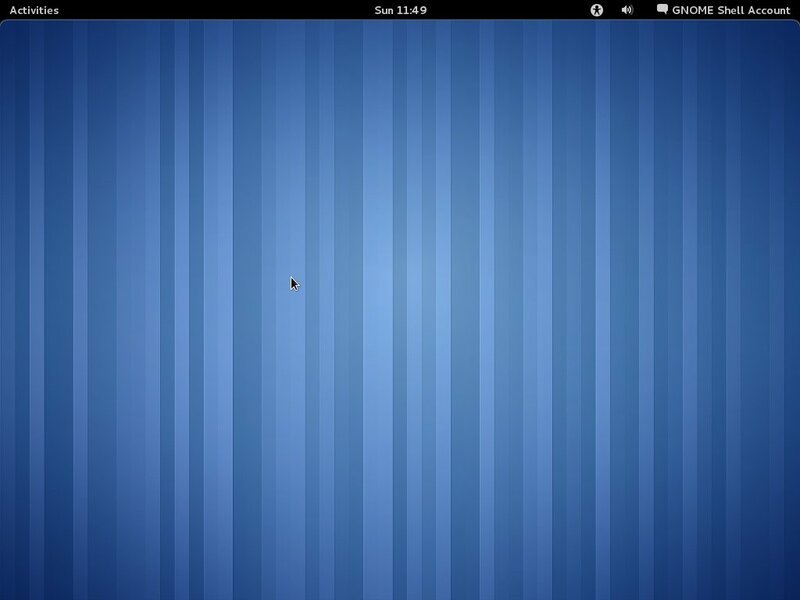 When you access to your GNOME 3 desktop for the first time, most probably you’ll see such image, a clean desktop with blue stripes on the background and no icons at all on the so called Desktop. As you can soon discover, there’s not a classic desktop like the previous GNOME releases (or MS Windows and Apple OS X), no files can be saved on the desktop, neither it reacts to right clicks. This is the default behavior but can be modified to restore the classic desktop with icons in the background behind the windows. We’ll see later how to control the desktop behavior.